Let me start by saying I loved The Last Seven. I thought it was great little concept driven film. A fresh diamond in the rough amongst all the copy cat, gangster wannabe British independent films that “have a go” every year. The Last Seven is about something entirely different. The similarities are; that it is a lot easier to overlook these small films because they’re local, don’t have big name stars attached to them or a Hollywood marketing engine behind them. Nevertheless they are both really really enjoyable films. 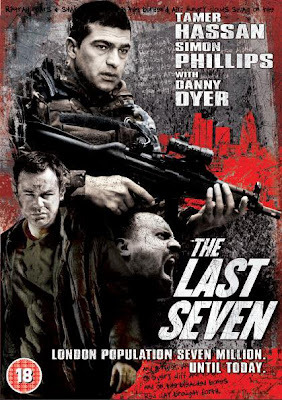 The Last Seven Premiere - Producer Actor Simon Phillips, originally uploaded by Craig Grobler. 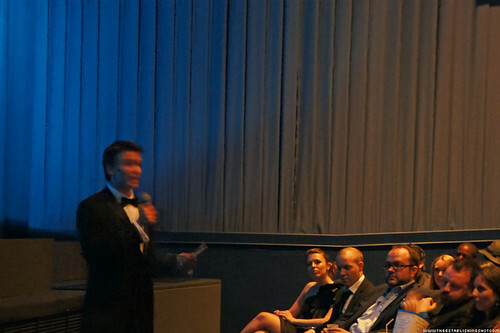 The Last Seven Premiere - Aisleyne Horgan, Sebastian Street & Martin J. Thomas, originally uploaded by Craig Grobler. 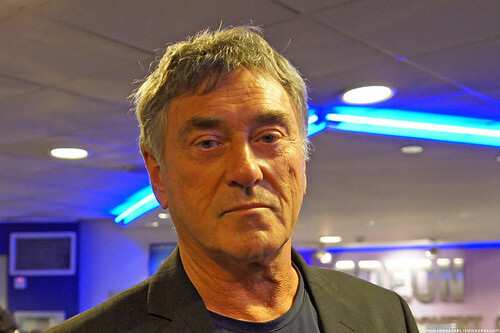 The Last Seven Premiere - Actor Producer Billy Murray, originally uploaded by Craig Grobler. 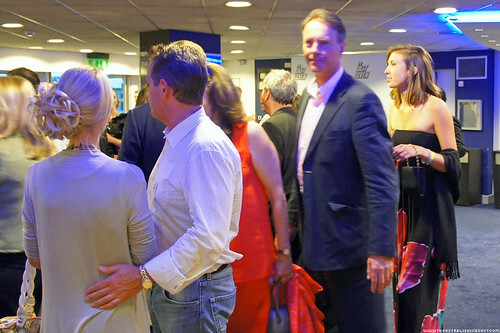 The Last Seven Premiere - Heading into the cinema, that's John Mawson, originally uploaded by Craig Grobler. My other half serendipitously got us tickets to the Premiere so I was fortunate enough to see The Last Seven on the big screen and even though the transfer had some minor problems it was pretty spectacular on the big screen - particularly the eerie ghost town shots of an empty London. However I suspect when viewing The Last Seven on a smaller screen some of the effect may be lost. 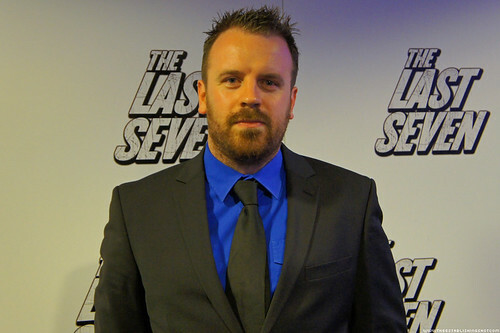 The Last Seven Premiere - Producer Toby Meredith introduces The Last Seven, originally uploaded by Craig Grobler. 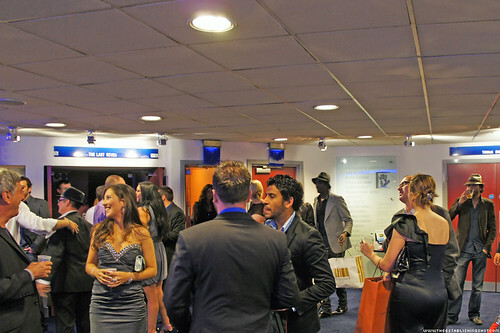 The Last Seven Premiere - Heading into the cinema Rita Ramnani on the left, originally uploaded by Craig Grobler. I’ve read a couple of negative reviews trickling in for it and too be honest I just don’t get it. The Last Seven is not Inception but it’s a damn good try by first time Director Imran Naqvi at making a decent, clever and engaging film. It’s not entirely original but the sweeping shots of London and top class editing, decent referential script and the story of seven people trying to put together a mystery will keep you both engaged and on your toes. London is dead silent. Into this silence walks seven disparate souls, thrown together purely by circumstance. They are desperately hoping to find the reason behind the situation and how they can escape it. But lurking in the darkness of this dead, silent metropolis something way beyond reason is on the move. And it knows that the prey, the last seven, are powerless to stop it. In a not-too-distant future, the face of London has changed dramatically. Stung by ineffectual politics, a rapidly expanding population and the ravages of climate change it can no longer take the strain and collapses in on itself. Down from 7 million, now only 7 individuals remain and together they must form a new society in the face of a desperate, unforgiving future. I can be the harshest critic but could easily overlook any faults to be sucked into the referential, engaging and mysterious world of The Last Seven. I guess a big part of what I liked about The Last Seven was that I spent most of the film trying to figure out what was going on and I only pieced it together about 20 seconds before the end. That is good going for a film as I can’t recall the last time this has happened in a cinema (and I see a lot of films). See it before someone gives away crucial bits of the plot. Stand out performances from Tamer Hassan (who owns most of the screen - in both size and presence), the gorgeous Daisy Head and increasingly more reliable Simon Phillips. It may be that The Last Seven is actually for a fairly niche audience the Sci-Fi/Horror crowd even though it doesn’t fit wholly into either genre. I have to say I’m surprised that The Last Seven is being launched so close to FrightFest 2010 without being part of it. I can’t help think that this is exactly the audience that would appreciate it and premièring at a festival like FrightFest would have given it a leg up and reached its audience a lot sooner.